You can communicate with others by talking or writing; however, written communication is more formal than talking. To communicate effectively in writing, authors use a writing process that includes planning, writing drafts, revising, and editing their writing before they share it with an audience. If you complete each of the stages in this writing process thoughtfully, you will ensure that you communicate your ideas clearly and that your reader understands the message as you intended. Prewriting is the most important step in writing. Some authors spend as much as 70% of the total writing time planning and getting ready to write. If you plan your piece carefully, the actual writing will be easier, and your final piece of writing will be better. Why am I writing? Is it to inform, to entertain, to persuade, or to express an opinion or idea? Be sure to keep your purpose in mind as you plan your piece of writing. It is important to have a specific topic that is neither too broad, nor too narrow. If your topic is too broad, it will be difficult to cover it adequately. If your topic is too narrow, you will not have enough to say to make an interesting piece of writing. 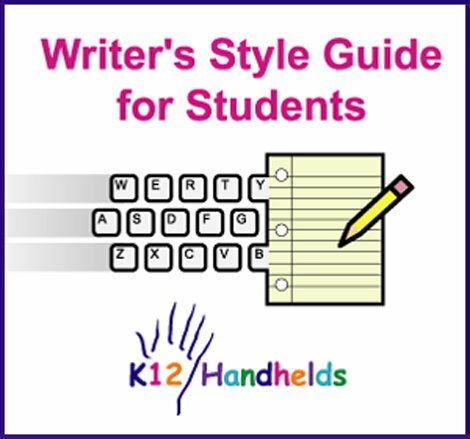 What form will your writing take? Writing can take many forms. Some examples are a letter, a play, an essay, a research report, a web page, a journal entry, or an editorial. Some forms have a specific structure you must follow, while others are more flexible. Who will be reading your writing (or who will your teacher pretend to be)? The words you select and the tone of your writing should be geared to your audience. If you are writing a research report, a more formal style is required. If you are writing a letter to a friend, less formal writing is appropriate. Brainstorming involves thinking of as many ideas as you can that relate to your topic. In brainstorming, there are no “right” answers - the more ideas, the better! You can refine these ideas and take out ones that don’t work later. One way to brainstorm is to create a cluster. (These are also sometimes called concept maps, mind maps, or word webs.) To create a cluster, draw a circle, and write your topic in the center. Then, draw rays extending out from the center with as many ideas as you can think of. Continue to expand the cluster with more ideas. To refine and organize your ideas, choose your main ideas and make sure you have supporting details for each one. You can change your cluster into an outline. Add or delete information as needed. Did you include enough information so that your audience will understand your meaning? Check your organization. Do you have the information in the best order, so your writing makes sense to your audience? Depending on the form of your writing, you may need to do research to flesh out your outline. Gather as much information as you can, so you have all the details you need to do your writing. As you gather research, make sure you write down the sources you use, so you can cite your sources in your final draft. At some point, you need to just start writing! When you are writing your first draft, don’t worry about all the rules of writing - just write! (You will check and refine your writing later.) As you write, stay focused on your purpose and your topic. A good way to get started is do a quick write. A quick write is done without concern for using complete sentences or about spelling, punctuation, and grammar while writing. The idea is to get as many ideas down on paper as quickly as possible. Keep writing until you have written as many ideas and details as you can think of from your prewriting. If you share your writing with someone else at this stage, he or she may be able to give you even more ideas to consider including. Organize your writing by moving information around to be logical and clear. Add details to your draft in order to clarify ideas. Delete any unnecessary words, miscellaneous information, or ideas that are not related to your topic. Write a new draft that includes all these changes. Mechanical errors, such as problems with spelling, punctuation, or grammar, interfere with communication. When writers edit, they use the rules of spelling, grammar, punctuation, mechanics, and style to ensure that readers understand their message. You may find that using a list of commonly misspelled words and grammar rules that you have trouble with will help with the editing process. You may want to try using an electronic grammar or spell checker. An editing partner or writing group can help you identify errors you may miss when you proofread your own work. Once you have made your writing the very best it can be, you are ready to share your writing with the intended audience. Audience - Who will read your work? Should your writing be informal or formal for this audience? What information will this audience need to know? Purpose - Why are you writing? What do you want the reader to know when he or she has read your piece? What do you want the reader to believe or agree with? What action, if any, do you want the reader to take after reading your piece? Genre/Form - What will the final piece of writing look like? What model or format should you follow? What is the best genre to use with your purpose? How can you organize your information to have the desired impact on your audience? Style includes the tone of your writing, the words you choose to include, and the words you leave out. Effective style may be the opposite of what you think. Effective style is not flowery descriptions, butxx rather communicating your message in a clear, interesting, and effective way. Make sure your word choices are appropriate for your audience. Eliminate extra words. For example, writers often overuse the word the. Reread your writing. Read your sentences with the and then without the. Ask yourself, if you eliminate the, will the sentence sound better and still make sense? If so, eliminate it. In general, avoid slang and clichés. We huddled in our beds as the wind howled through the trees and the rain drenched the streets outside. Proper nouns - A proper noun is a specific name, place, or title. For example, Gary Paulsen, Discovery Middle School, and Treasure Island are proper nouns. Proper nouns are always capitalized. Collective nouns - A collective noun names a group of people. For example, team, band, and crew are collective nouns. Concrete nouns - A concrete noun names something you can identify using your five senses (see, hear, smell, touch, or feel). For example, grass, sugar, and heat are concrete nouns. Abstract nouns - You cannot see, hear, smell, touch, or feel an abstract noun. For example, honesty, faith, and truth are abstract nouns. A verb is a word that expresses action or names a state of existence. For example, run, sing, and laugh are action verbs; be, seem, and appear are state of existence verbs. 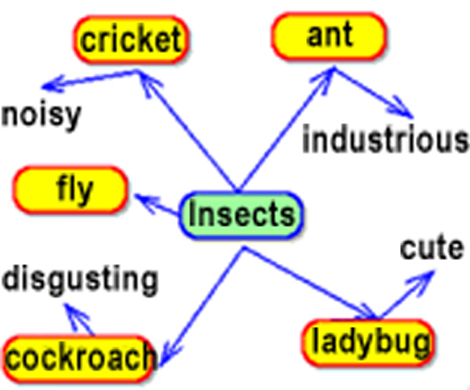 Linking verbs link the subject to a subject complement. A subject complement is either a noun that renames the subject or an adjective that describes the subject. Jose is the best baseball player on our team. Helping verbs are used with main verbs to change tenses, make questions, and express meanings such as possibility, advisability, permission, and requirement. Verb forms change with tense, indicating when the action happened (past, present, or future). Verbs have five basic forms known as the principal parts of a verb. Verbs can be regular or irregular. Regular verbs follow the forms above (-s, -ed, etc.). Irregular verbs do not. The infinitive form of a verb is preceded by the word to and can function as a noun, adjective, or adverb. I love to go swimming when it is hot. Participles are forms of a verb that can be used as verbs or as adjectives. Verbs are either transitive or intransitive. Transitive verbs have a direct object. A direct object is a noun or pronoun that receives the action of the verb. Intransitive verbs do not have a direct object. You cannot put a noun or pronoun directly after an intransitive verb. 1. Harriet ___ the pizza yesterday. 2. Tomorrow, our dog ___ to the park with us. 3. Gina ___ to the mall right now. 4. The children ___ on a trip to the bakery next month. 5. “To run” is ___. 6. What function does a linking verb have? Adjectives describe, modify, or give more information about a noun or pronoun. They usually come before the noun or pronoun. Adjectives tell which one, how many, or what kind. An adverb describes or modifies a verb, an adjective, or another adverb. Adverbs usually answer the questions how, when, where, or how often. Comparative adverbs compare two people, places, or things. Superlative adverbs compare three or more people, places, or things. Conjunctions are connecting words. Coordinating conjunctions combine two equal groups of words. And, but, or, and nor are examples of coordinating conjunctions. A subordinating conjunction connects an independent clause to a subordinate clause. While, which, because, if, and unless are examples of subordinating conjunctions. A preposition is often combined with a noun or noun phrase to form a prepositional phrase. Please finish your homework before dinner. The school is on this street. Students walked home from school. An interjection is a word or phrase that expresses surprise or other emotion. An interjection may be thought of as the word form of an exclamation mark. Examples of interjections are oh, hey, ouch, and gosh. The word itself shows strong emotion. 1. Which part of speech is the word “me”? 2. Which part of speech is the word “are”? 3. Which part of speech is the word “enormous”? 4. Which kind of noun is the word “Texas”? 5. Which part of speech is the word “slowly”? 6. Which part of speech is the word “slow”? 7. Which part of speech is the word “and”? 8. Which part of speech is the word “car”? 9. Which part of speech is the word “hungry”? 10. Which kind of verb form is “to kiss”? 11. Which kind of phrase is “after lunch”? 12. What verb tense is “grew”? 13. In the phrase “to the store”, which part of speech is the word “to”? Match parts of speech to their descriptions. It is difficult to remember and implement all of the rules relating to grammar. Here are some rules that cover many common errors. A sentence fragment is an incomplete sentence or a sentence that does not have a subject and a predicate (a verb and other words that complete the sentence). While oral language and informal writing sometimes use fragments, in formal writing, fragments are not acceptable. Each sentence must contain a subject and a predicate. Among their possessions, bikes and clothes and money. Among their possessions were bikes, clothes, and money. Playing video games with some friends. I was playing video games with some friends. Subjects and verbs must agree in terms of number (singular or plural). A singular subject requires a singular verb. A plural subject requires a plural verb. It sounds easy enough. The challenge is to identify your subject and find out if it is singular or plural. It will help if you ignore all the words in between your subject and verb to determine the correct form. A banana and an apple is good for you to eat. A banana and an apple are good for you to eat. Pronouns can also cause agreement problems. A pronoun and its antecedent (the noun it refers to) must agree in number and gender. One of the boys are late for school every day. One of the boys is late for school every day. Parallel construction is about being consistent. Parallel structure requires that items in a list all be in a similar format or of the same part of speech. He liked to swim, go biking, and jogging. He liked to swim, to bike, and to jog. He liked swimming, biking, and jogging. It is important to make sure that related words stay together in order to guarantee clarity of meaning. As the writer, you have a lot more background information and context than the reader does. What makes sense to you is not necessarily what will make sense to your reader. The tree stands slanted on the corner. The slanted tree stands on the corner. Using more than one negative in a clause is not proper grammar. She doesn’t want nothing for her birthday. She doesn’t want anything for her birthday. 1. Which of these is a sentence fragment? A) Because the car was driving too fast. B) The car was driving too fast. C) The car got into an accident because it was driving too fast. D) The car was driving too fast and got into an accident. 2. Which of these is a complete sentence? A) The radio which was playing my favorite song. B) The radio was playing. C) Loudly, the radio playing my favorite song. D) The radio playing my favorite song. 3. Which of these has parallel construction? A) The playground has many children playing, a few teachers, and one parent watching. B) The playground has many children playing, a few teachers with their lunches, and one parent. C) The playground has many children, a few teachers supervising, and one parent watching. D) The playground has many children playing, a few teachers supervising, and one parent watching. A) We don’t have any bananas here. B) We don’t have no bananas here. C) We don’t have many bananas here. D) We don’t have enough bananas here. Instructions: Choose the correct word for each sentence. Emily and Eva are is my best friends. One of Jamel’s friends are is my cousin. Correct punctuation is important to make your writing understandable. Punctuation also puts emphasis in the right areas to convey your meaning to the reader. Below are some basic punctuation marks with some of their uses. Commas and their correct placement are very important. At times, the absence or presence of a comma can change the meaning of a sentence. When writing a list of more than two things, use a comma between items and before the word and. She chose vanilla, chocolate, and strawberry ice cream for her sundae. She chose her favorite ice cream, and he made her sundae. Comma splices and fused (or run-on) sentences occur when two independent clauses (each with a subject and a verb) are put together with a comma and no conjunction, or with no separation at all. Remember, if the two ideas can stand alone, then they will need to be joined by a conjunction, be separated by a semicolon, or exist as two separate sentences. Sam and Lucas went to see a movie, Sam ate popcorn with butter. Sam and Lucas went to see a movie Sam ate popcorn with butter. Sam and Lucas went to see a movie, and Sam ate popcorn with butter. Sam and Lucas went to see a movie; Sam ate popcorn with butter. Sam and Lucas went to see a movie. Sam ate popcorn with butter. Use an apostrophe to show possession (something that belongs to someone). For a name (or other singular noun), an indefinite pronoun, or an acronym, use an apostrophe and an s.
It was the NFL’s laptop. For plural nouns ending in s, just add an apostrophe. If a plural does not end in s, add an apostrophe and s.
We helped with the boys’ class. We helped with the men’s class. I saw Kate and Gemma’s car. I saw Kate’s and Gemma’s cars. If you want to add information to your sentence that is helpful or interesting, but not essential, consider using parentheses. If the information is related to all of the information in the sentence, use a comma instead. She chose her favorite ice cream (which happened to be chocolate), and he made her sundae. Note that commas and semicolons are placed after the parentheses. Do not place a comma or a semicolon before the parentheses. Quotation marks are also used for titles of newspaper articles, magazine articles, short stories, poems, chapters in books, songs, and episodes of television programs. A direct quotation is someone’s exact words, either written or spoken. Place a pair of quotation marks before and another pair after the words a person speaks or has written. An indirect quotation is a person’s words as they are reported by someone else. Do not use quotation marks with indirect quotations. Often an indirect quotation is introduced by the word that. Julio said that he liked reading both fiction and nonfiction. Note that a period and a comma are placed inside the quotation marks. All other punctuation goes outside the quotation marks, unless it is part of what is being quoted. When another quotation appears inside a quotation, single quotation marks are used. A hyphen is used to create compound modifiers. A hyphen should not be used after an adverb ending in ly. If you are not sure if you should use a hyphen with a compound word, consult your dictionary. Use a hyphen between two or more words that function as one word or one adjective. Hyphens are used with numbers and some number combinations. The three-digit area codes are constantly revised. California has at least twenty-four area codes! Hyphens also can be used to break a word at the end of a line (if, for example, there is not enough room to put the entire word on the line). If you separate a word at the end of a line with a hyphen, make sure it is in the right place. Words are usually divided by syllables. Colons are used to show that something is about to follow. Do not use a colon after a verb. The colors to be used are: blue, red, and green. Instead, a colon should be used with the words the following or as follows. Use a colon even if those words are implied. The colors to be used are the following: blue, red, and green. Colons should also be used to separate a title and subtitle, when writing ratios, after a formal salutation, and with time references. We hope to achieve a 10:1 ratio. I need to wake up by 10:00 a.m.
A colon is also used before a summary, a long quotation, a list, or an explanation of what preceded the colon. If the words following the colon are a complete thought or quotation, capitalize the first letter following the colon. A semicolon can be used to join two complete clauses that are closely related but are not separated by a conjunction. It should not be used with a phrase or dependent clause. Semicolons also can be used between items in a list when the items have internal commas. Hannah was a very small child; she later grew to be quite tall. Jose left school suddenly; however, he later returned. Periods - A period marks the end of a sentence. It is also used with abbreviations. Exclamation marks - An exclamation mark is used at the end of a word or group of words to convey strong emotion. 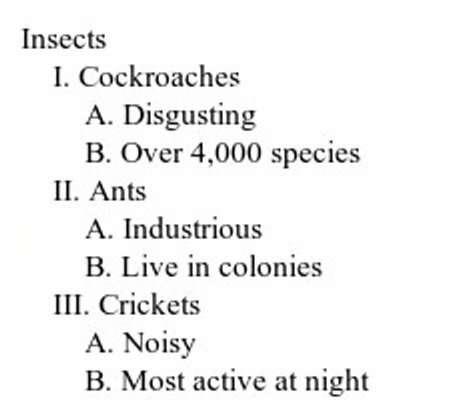 Question marks - A question mark is used at the end of a direct question. Dashes - A dash should be used sparingly in formal writing. It can show a break in thought, provide an opportunity for further explanation, or start off a listing of items. Brackets - Brackets can be used within parentheses, or to clarify information within quotation marks. Ellipsis points - Ellipsis points are three periods that can show a hesitation or an omission from a quoted statement. Instructions: Choose the best punctuation for each sentence. 1. Leonardo,s Leonardo;s Leonardo.s Leonardo’s house is over by the grocery store. 3. If you go outside, outside; outside. outside’ please put on your coat. 4. The stove is hot, hot; hot. hot’ it could burn you. 5. After the team won the game, game; game. game’ they celebrated. 6. Brad cooked spaghetti for dinner, dinner; dinner. dinner’ It was delicious. 7. The elephant’s elephants’ trunks were all very long. 8. My mother’s mothers’ job is very demanding. An abbreviation is a shortened version of a word. You should write out the following words when they appear in a sentence: minutes, months, days of the week, cities, and states. Do not abbreviate these words. United States should be spelled out when it is used as a noun. It can be abbreviated when it is used as an adjective. The United States and Mexico have a new trade policy. He supported the U.S. trade policy. An acronym uses capital letters to stand for the name of something, such as an organization or a group. When you use an acronym in your writing, spell it out the first time so your reader will be clear on its meaning. The players of MLB (Major League Baseball) are considering voluntary steroid testing. For the title of a book, movie, or other work, capitalize the first and last words and any major words in the middle. Do not capitalize short prepositions (for example, of, in) or articles (for example, a, an, the). In general, words that are less than five letters long are not capitalized. You can also use italics to emphasize a word, but use this rule with care. Do not overuse italics. The numbers one through nine should always be spelled out. I bought three new books. If a number can be written in two words, spell it out. If it will take three or more words, use numbers. If a sentence contains both, use numbers. Summer vacation begins in forty-six days. School begins in 125 days. Summer vacation starts in 46 days, and we will be back in school in 125 days. Any time a number begins a sentence, it should be written out. If possible it is better to avoid starting a sentence with a number. Three thousand twenty-five people attended the free concert. The word “and” should not be used in numbers unless it is to show a fraction. He ate one and a half pies. Dates and times are found in many different formats. Choose one, and be consistent. When you use outside sources of information in your writing, you must give credit to the sources. If you do not, you are stealing information, which is called plagiarizing. Plagiarism can have serious consequences, including expulsion from school, college, or university. In addition, for research papers, you will need to include a list of all the sources of information that you consulted in gathering information. Footnotes, endnotes, and parenthetical references are all used when information is quoted or paraphrased. Paraphrased information is taken from a source but restated in the writer’s own words. Any information that is borrowed from a source and is not considered to be common knowledge must be cited. Footnoted citations are indicated with a superscript number after the quotation or reference, which then refers to the actual citation, which is given at the bottom of the page. 1 Mark Twain, The Adventures of Tom Sawyer (New York: Penguin Books, 1986), p. 17. With footnotes, the first line is indented and lines under that not. Always include the page number at the end of a footnote. An endnote serves the same purpose as a footnote. However, instead of appearing at the bottom of the page on which it is referenced, an endnote is written at the end of a chapter or paper. An endnote is written in the same style as a footnote. In the book The Adventures of Tom Sawyer by Mark Twain, the author uses dialect to set the mood of the story. For example, in the beginning of the book, Tom’s Aunt Polly says: “‘Forty times I’ve said if you didn’t let that jam alone I’d skin you. Hand me that switch’” (Twain, 17). When using parenthetical references, it is essential to include a bibliography with full citations at the end of the paper. In a bibliography, the first line is always flush left, and each line under that is indented. The list of bibliographic entries should be alphabetical. Mount, Steve. “The Constitution Explained.” USConstitution.net. August 25, 2006 <http://www.usconstitution.net/ constquick.html>. “A More Perfect Union: The Creation of the U.S. Constitution.” The National Archives Experience. 2006. The National Archives. 25 August, 2006 <http://www.archives.gov/national-archives-experience/charters/constitution_history.html>. Robbins, Harriet. “Heartbeat: Get into Rhythm with New Books.” New Moon 25-28. March-April 2004. 21 July 2004 <http://www.newmoon.org>. “India.” Britannica Macropaedia. 15th Edition. 2003. “Radio Telescope.” The New Illustrated Science and Invention Encyclopedia. Ed. Donald Clarke. 26 vols. Westport, CT: H.S. Stuttman Inc. Publishers, 1988. Franklin, Theodore Palmer. “What Middle School Students Need to Know About Poetry.” Middle School Journal 36 (September 2001): 72-78. Anile, Janice P. “Tracking Bears: My Time in Alaska.” Newsweek International April/May 1996: 43. Wiley, William S. “Children’s Literature Festival Great Success.” Miami Standard 31 January 2002: sec. 5B, p. 1. “Review of The Giant.” Orlando Sentinel 6 June 1999: sec. V, p. 12. Fletcher, Ralph. A Writer’s Notebook. New York: Scholastic, 1999. Portalupi, Jo Ann and Ralph Fletcher. Craft Lessons. Portland, ME: Stenhouse Publishers, 1998. Parker, Julie T., Sondra Fletcher, and Philip S. Johnson. Why Write Fiction? New York: Scholastic, 2003. Compton, Phyllis, et al. Writing English the Right Way. Boston, MA: Houghton Mifflin, 2004. Holland, Grace K. Interview with Margaret Meeker. “Grace Holland Tells All.” Language Art. 56 (Fall 2000): 13-15. Thomas, Theodore. Personal interview. 22 July 1994. Lawrence, Madeleine. I Hear the Wind in the Trees. Read by the author. Compact disc. Caedmon CP 1619, 2002. Conrad, Patricia. Classroom Research. Produced and directed by Candice Collingsworth. Videocassette. Collingsworth Studios, 2003. Correct spelling is very important. Misspelled words can be a minor problem a reader notices or a major problem that interferes with the meaning of your writing. Take advantage of the wide range of resources available, including handheld dictionaries and your own list of commonly misspelled words. If a word looks strange to you, look it up. If you have to think about it, it should be checked. Below is a short list of words that are easy to misspell and mix up, along with some hints to help you remember the correct forms. Remember to look carefully at your word choices. Create your own list of the words that seem especially challenging to you to use as a quick reference. Learning to spell the words you use often is much easier than trying to memorize the whole dictionary! Accept is a verb that means to take something that is offered. I would attend, except I have other plans. Advice is a noun meaning an opinion about what one should do. Advise is the verb form of advice. I would love to give you advice about your career choices. I would advise you to think carefully about your career choices. Affect is a verb meaning to bring about a change. Effect is a noun that means the result of something. The weather affects her mood. The effect of the sunny day was to make her happy. Alot is not a word; a lot is two words. Remember to use a space. Remember you can’t dance if you don’t attend. The ball field is located beside the school. Who is going besides those girls? Between is used when referring to two people or things. Among is used when referring to three or more people or things. Josh and Amanda divided the cookies between themselves. They divided the cookies among the four boys. When referring to distances, use farther. When referring quantity or degree, use further. California is farther from New York than from Mississippi. We’ll expand this list further next time we meet. Use fewer with discrete nouns (items that can be counted); use less with non-count nouns. He carries fewer books than I do. Joanna weighs less than Nastasha. Hear is a verb that refers to listening. Here is an adverb that tells the place. You can hear the wind rushing through the trees. Please put that box down here. The rule “i before e except after c” has many exceptions, so look it up if you are not sure. Its shows possession or ownership. The dog retrieved its bone. It’s time to get the dog a new bone. Lay is a transitive verb and is always followed by an object. Lie is an intransitive verb and never takes an object. Lie can mean to get into a flat position. Lie can also be a noun that means an untruth. Sean lies in front of the television. Jennifer lied to her brother. Loose is an adjective meaning not tight or not fastened. Lose is a verb meaning to misplace or fail to keep in one’s possession. It can also mean not to win. My dog got loose from his leash. I hope I don’t lose my dog. He doesn’t want to lose the game. Remember that occurred has two sets of double letters. Quiet is an adjective meaning not loud. Quite is an adverb meaning very. The classroom is very quiet today. Yesterday, the room was quite noisy. Raise is a transitive verb and always has an object. Rise is an intransitive verb and never has an object. We will raise the flag. Yesterday, we raised the flag. Each day, the sun rises over the horizon. Sit is an intransitive verb and never has an object. Set is a transitive verb meaning to put or to place and always has an object. Please sit down on the couch. Each day, she set her books on the table. These are words with tricky r’s. Remember the word heir is in their. There is a place and tells where. Remember the word here is in there. Remember that you can substitute they are. Their room had a lot of posters. We went there to see the collection of posters. They’re going to put up more posters. Two is the numeral 2. To is a preposition that shows direction. Too means also or in addition. Remember that it has too many o’s. We went and saw two movies. We went to the theater and saw the movies. We saw the movies, too. 1. Their There They’re going to a play at the high school. 2. Jim likes a lot alot of butter on his popcorn. 3. The effect affect of his decision was to inconvenience everyone. 4. Everything was included in the cost except accept tax. 5. What advice advise do you have for which college Miriam should attend? 6. Ken asked for two to too pieces of pizza. 7. The tree over their there they’re is the tallest one here. 8. You will have to choose among between many colors of paint. 9. Ohio is farther further from the ocean than Kentucky. 10. If you receive recieve a scholarship, you will be able to go to Harvard. 11. Please come here hear right now. 12. The letter was sent two to too me in the mail. 13. It’s Its important that you do your best. 14. My cat loves to lie lay in the sun. 16. Reading that book really effected affected the way Laura thought about things. 17. Among Between chocolate and vanilla, I prefer chocolate. 18. Please except accept my apology. 19. The boys were separated seperated from the girls. 20. The music is so loud that Felipe couldn’t hear here anything. 21. I’d like french fries with that two to too . 22. The car automatically turned on it’s its lights. alliteration – the repetition of the first letter in several words used to give writing a poetic sound; example: The cat was slinking along in its slim, sleek manner. hyperbole – a figure of speech that exaggerates; example: She was as big as a house. metaphor – a figure of speech that states two unlike things are the same in a figurative way; example: She was the wind. personification – a description of something that is not a person as though it were a person; example: The stream made a happy, singing sound through the forest. simile – a figure of speech comparing two unlike things; example: She was as fast as the wind.